I was just about to post this... hundreds of years of history are currently going up in flames. And it's not a small fire - it looks like half of it is fully engulfed in massive flames. Holy sh**! This is historically tragic. It’ll never be the same, but I hope they can restore it. It’s a beautiful site. Wayyyyy too early to speculate as to a cause of the fire.....so of course I'm going to anyway. Either a discarded cigarette...because we know 100% of French people smoke, or a lax adherence to common sense construction safety rules especially when performing "hot work" like welding, grinding, etc. Or a hole drilled, or saw damage to a live electrical circuit. Not really any other possibilities IMO. I was unbelievably lucky to get to spend a semester there. The school work was wayyyyyyyyyyyyyy easier than at my actual school, so it really was just college kid play time. In addition to getting to see world-class musicians play at other cathedrals all the time--cheap/free concerts at lunch time every day around the city--and learning how to drink that year, I spent tons of time just walking along the Seine and staring at Notre Dame. I had my first iPod, and that city made for excellent visuals against the music. Should I understand you want to turn this thread into a Muslim bashing subject? You should understand trolling when you see it and not feed them. Yes - I just banned you for a month for trolling. I may not be able to prove "who" you are ATM, but I'm not going to let a suspected alt - or anyone else - get away with that kind of flagrant ToS violation either. Hopefully they can salvage this world treasure. If you're traveling to Paris in the near future and you had your heart set on touring Notre Dame, here's a wonderful consolation suggestion for you that won't disappoint; just a short walking distance from ND. You may even catch a concert here. Last edited by RogueGnome; 04-16-2019, 04:03 AM. Indeed! 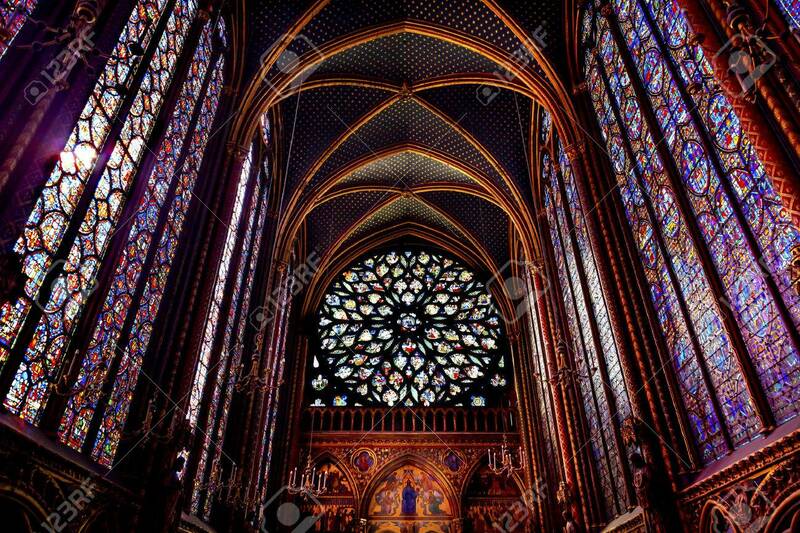 There’s a lot of other beautiful architecture and wonderful cathedrals.... Notre Dame just has the best location. A whole island to itself. IMO, it wasn't a totally stupid idea - it just wasn't practical. But OTOH, there's going to have to be an investigation looking into the cause of the fire, and examination of the disaster plan (if any) to deal with something like this occurring. There should have been SOME kind of plan in place; especially in light of the renovation work that it was undergoing. They'll probably try to rebuild / restore what they can, but sooo much of what was housed inside of that cathedral is gone forever - again, hundreds of years of history... gone. His Grace, The Being That Knows All: Trump, already suggested that. See what happens when you put a minimum of 24K pounds of water on a masonry building that lost it's sole means of support for the walls. Can you say Rubble Pile? I can see using helo's with Bambi buckets to do strategic drops but not fixed wings.